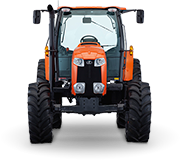 Kubota’s M8540DN speciality tractor is ideal for orchards and vineyards with a narrow build powered by a reliable Kubota 85HP, tier III compliant, 4 cylinder, E-CDIS turbo charged engine. 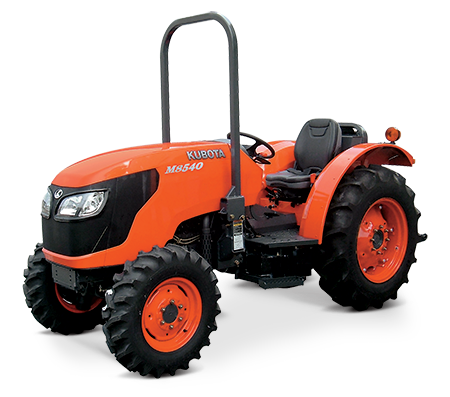 Hydraulic shuttle transmission and Kubota’s Bi-Speed comes as standard, delivering smooth and quick operation. Offers high torque and boasts incredible pulling power. Kubota’s revolutionary new centre direct injection system (E-CDIS) engines offer more durability, power and fuel efficiency. Hydraulic Shuttle transmission is designed to keep you moving and productive with synchronized four speeds of the main shift and a high/low range. 4WD works with Kubota’s mechanical wet disc brake system to offer safe and effortless stoppage automatically. 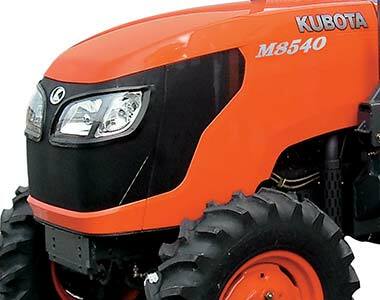 Kubota has engineered these models specifically for those who work in vineyards, orchards or anywhere else that might require a narrow and compact tractor with M-Series power. 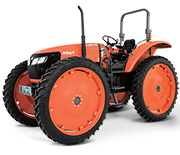 Kubota’s exclusive Bi-Speed Turn feature rotates the front wheels at a rate of speed nearly twice that of the rear wheels whenever the front wheels exceed a turning angle of about 30 degrees. The result is a smoother, tighter turn, allowing you to turn into an adjacent crop row on your first attempt.